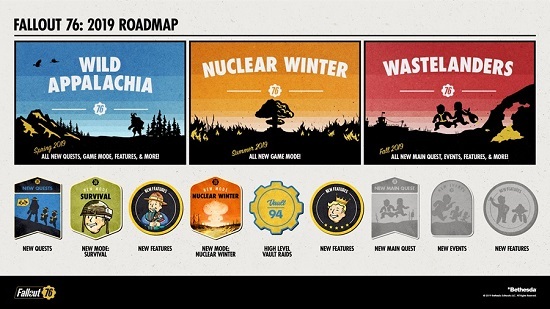 Bethesda has unleashed a pair of development roadmaps for Fallout 76. One is an overview that provides basic information about what is going to happen throughout 2019 across “seasons” of content upgrades. 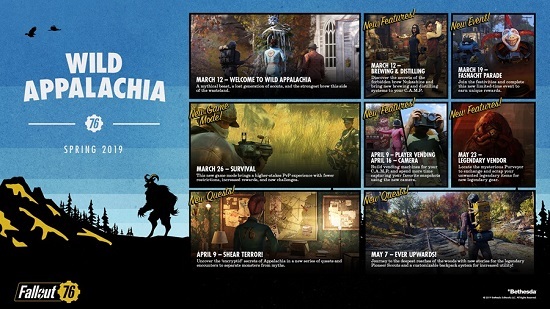 The other is a more specific look at what players can expect from the Wild Appalachia season including information about when each piece will be released and what it will contain.